Chris King has been handling high-stakes, complex litigation for three decades. When leading companies are facing bet-the-company litigation, they turn to Chris and his more than 35 years of litigation experience to get them through it. One of the firm’s founding partners, Chris is passionate about solving his clients’ problems, whether through prelitigation advice, negotiation or trial. Chris focuses on high-stakes cases, particularly those involving derivative or class action claims, which frequently carry the risk of significant damages. Much of his practice is devoted to representing Fortune 100 companies, including those in the financial services, manufacturing and energy sectors. Chris often works hand-in-hand with counsel throughout the United States to address serial claims against his clients. He has handled high-exposure cases throughout the Southeast, and has tried many of them to verdict for both plaintiffs and defendants. As a result of his trial resume, Chris has been a Fellow of the American College of Trial Lawyers since 2004. In addition to his trial work, Chris also has an active appellate practice. 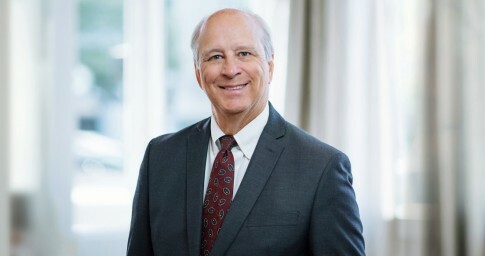 In particular, he has extensive experience with the post-trial and appellate review of punitive damages awards and the limits imposed on them by the U.S. Constitution. Chris has argued these issues in the Alabama Supreme Court in numerous cases, including a number of precedent-setting consumer fraud lawsuits and the successful appeal of the largest judgment in Alabama history. He has also argued in several federal appellate courts. Chris has such a significant reputation in this area that he is frequently retained by clients and trial counsel in matters other firms have handled. In these cases, he acts as appellate counsel to protect the record leading up to and during trial, and handles any resulting appeal. Chris is a member of the adjunct faculty at the University of Alabama School of Law, where he teaches a course on appellate advocacy each fall semester. He also lectures frequently at CLE events on class actions, punitive damages, appellate issues and ethics. The son of an outstanding Mississippi trial lawyer, Chris is married to the daughter of an outstanding Alabama trial lawyer. He is the proud father of four sons and two accomplished daughters-in-law. Defending a directors and officers insurer in a nationwide class action alleging that the prior settlement of a securities class action was the result of fraud. The matter was settled just before trial was to commence. Defending a biomedical engineering company against claims by both a hospital and its catastrophically injured patient that its negligence led to the malfunction of an electric surgical table. Summary judgment in the client's favor was entered by the trial court and affirmed by the North Carolina Supreme Court. Representing an insurer in a class action involving the calculation of auto insurance claim payments. The district court denied class certification, and the Fifth Circuit affirmed the denial. Representing a regional bank in a case before the U.S Court of Appeals for the 11th Circuit appealing a judgment against the client for RICO violations in connection with the origination of real estate development loans. The matter was settled just prior to oral argument. Representing two energy companies in the appeals of separate multimillion-dollar verdicts for fraud in connection with the payment of natural gas royalties. Both verdicts were reversed by the Alabama Supreme Court. Representing two pharmaceutical companies in the appeals of separate multimillion-dollar verdicts for fraud in connection with Medicaid reimbursements for prescription drugs. Both verdicts were reversed by the Alabama Supreme Court. Prosecuting two lawsuits on behalf of personal injury defendants for indemnity against suppliers/contractors and their insurers, resulting in a multimillion-dollar jury verdict and a settlement. Prosecuting a fraud case on behalf of a manufacturing company plaintiff against a supplier of business enterprise software resulting in a $61 million jury verdict in favor of our client. Defending a financial services company against claims that a group of trusts had been mismanaged. The matter was settled. Defending a public company in a SOX/ Dodd-Frank whistleblower claim brought by a former employee. The matter was settled. Defending a software provider against claims by a taxpayer that a multimillion-dollar contract it entered into with a state government should be voided for failure to comply with the competitive bid laws. The trial court dismissed many of the taxpayer’s claims, and the Alabama Supreme Court ordered in an interlocutory appeal that the remaining claims be dismissed. It was a bad case in a bad place, and the judge was a bully. He made us make our Batson challenge in the jury’s presence; he was overly solicitous of our opponent and his counsel. He told me to “hurry along” 15 minutes into my opening statement. And he made us pay dearly for every objection by deriding both my client’s position and me. Jurors rolled their eyes at us as the judge continued to bear down. At the end of every trial day, the judge urged us to settle. Each morning we returned without having done so, he grew even more combative. After two weeks that felt like two months, we lost...big. Given our venue, our strategy had been to protect the appellate record at all costs. And I would have sworn we did so. But as I read the transcript I realized that as the trial had worn on, I had let the pain of being dressed down by the judge influence our mission to protect our client’s appellate rights. And that, along with trying to force an unreasonable settlement, was precisely what the judge had intended by his tactics. Schoolyard lesson recalled. The misery of being bullied is temporary. The result of succumbing to the bully can be permanent.